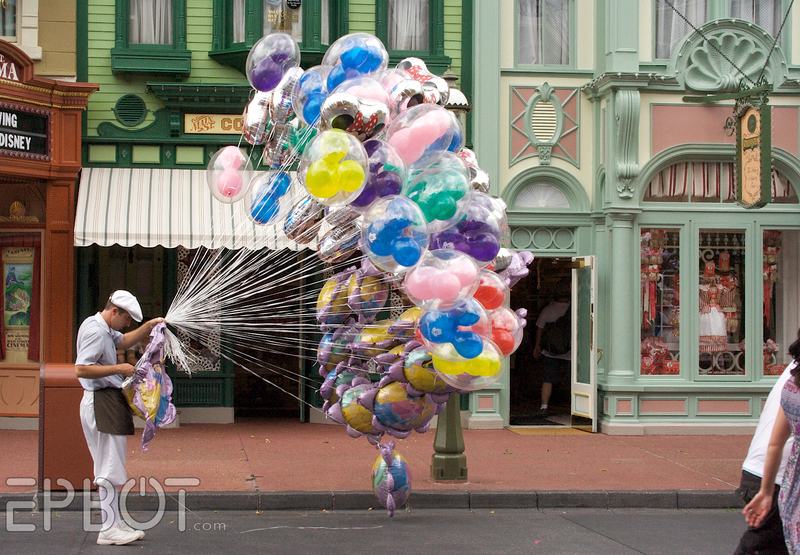 EPBOT: Mailbag: "What Should I See At Walt Disney World?" 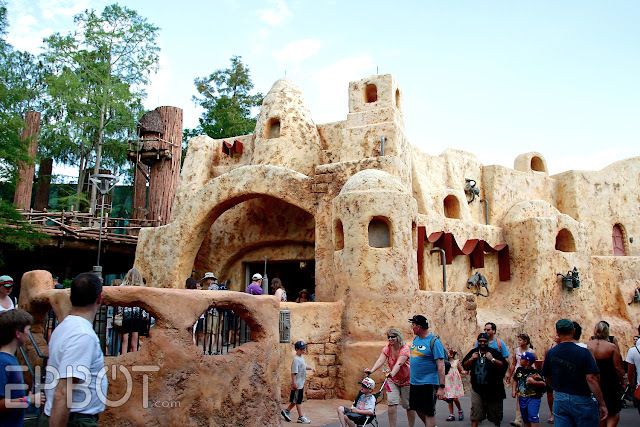 Mailbag: "What Should I See At Walt Disney World?" I promised someone I would do this post a few months ago, since it's always been a FAQ - and since then I've had four more of you ask me for the exact same thing. So, yeah, I guess it's time! So, here 'tis: My personal list of Stuff You Shouldn't Miss On Your Walt Disney World Vacation. I'm going to do this bullet-point-style, and just concentrate on the things John and I like best, so don't consider this an all-inclusive guide; if you want one of those, the 'net is bursting with them. If I don't list something, odds are that means it's good. Not a can't-miss, not terrible, but good. (Or it means I forgot about it. Ha!) Ready? Here goes! - Main Street. Probably my favorite area of the park, so take a little time to explore it - and try to see the Flag Ceremony at 5pm. - The Dapper Dans - Barbershop Quartet on Main Street. Look for them in the morning. Loads of fun. Say hi for me. - The mural inside the castle walkway. Take a moment to gawk. 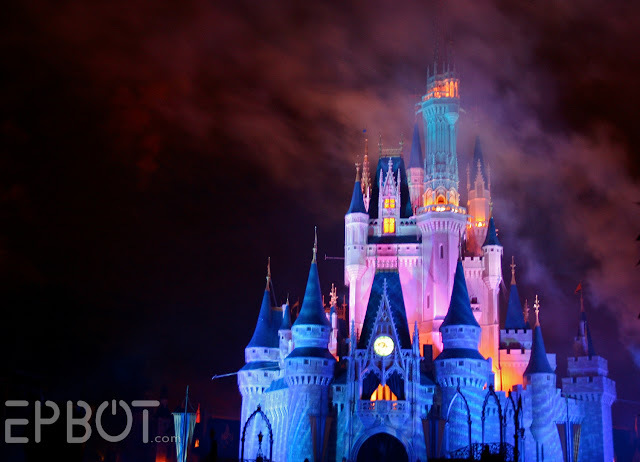 - The castle projection show, "The Magic, The Memories, and You." Skip the fireworks if you must (although Wishes is spectacular) but DO NOT miss this show. - The Monsters Inc Laugh Factory. We saw it once. That was more than enough. - Stitch's Greatest Escape - Ditto. - The Raceway Mini Cars. They're not called that, I know. But they're stinky (literally - diesel fumes!) and the ride is short and so not worth the wait. - The new Sorcerers of the Magic Kingdom game. If you're curious, watch someone else play at one of the portals - you'll get the idea in a few minutes. It's definitely not worth waiting in lines for, or sacrificing time you could be using on other attractions. If you want to try an interactive game with the kids, try Agent P's at Epcot. It's much, MUCH better. - All the lands. Really explore them - don't just walk by the entrance. My favorites are Mexico, Morocco, and Japan. Candy sculpting - ask for a bird. Or a Koala. - The candy-sculptor in front of Japan. She performs hourly before 5pm, and is world-renowned. - The American Adventure - you have to see it at least once. It's iconic Disney. - The Voices of Liberty - a group that performs inside the American Adventure before 5pm. They sound absolutely heavenly under the dome. - Illuminations, the nighttime fireworks and laser show. There's a slow bit in the middle, but the beginning & ending are so, so good. - Captain EO - Retro, toe-tapping, 3D goodness. See it while you can; there's no telling when this classic will get shelved again. - If you have extra time, Agent P's World Showcase Adventure is a blast and a half - even for adults, and even if you've never seen Phineas & Ferb. 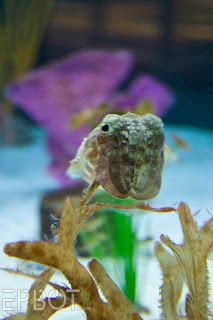 - The cuttlefish in The Living Seas. They don't perform; they're just cool fish. They're upstairs. Say hi for me. - Pretty much anything from France's pastry shop (you'll find it by the long line out the door) Our favorites are the créme brûlée, strawberry tarts, and Napoleans. Mmmm. - Our favorite is Germany (it's a buffet! Yay! ), but you have to sit with other people family-style, which can be awkward. Still, the loud polka music drowns out most table mates. 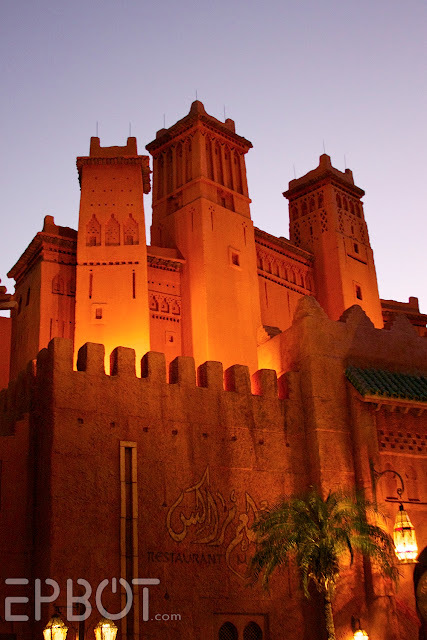 - Morocco - the food's a little hit or miss, but there's belly dancing! A very fun dining experience. I just realized I have no good photos of DHS. NEW LIFE GOAL. - If you like thrill rides, then Tower of Terror & Rockin' Roller Coaster. - If you're a Disney buff, then One Man's Dream, the exhibit on Walt Disney. It's a walk-through. Anything at Starring Rolls, the bakery/deli that likes to torture us by closing early and seasonally. Get the stacked banana cake trifle thing. It's awesome. Best Restaurant: For table service, the 50's Prime Time Cafe is the most fun and has the best atmosphere - assuming you don't mind getting yelled at by your "mom" waitress. The food is just Ok, but the retro theming is spectacular - if nothing else, at least go in and look around! Ditto for the Sci-Fi Dine-In theater - fun theming, so-so food. - Fantasmic. I may get flak for this, but to me Fantasmic isn't worth the hassle. You're supposed to arrive an hour early, you pack into a giant arena with more than half the park, and it takes 30 minutes to get out again after the show is over. The whole area is a massive bottle neck and a potentially panic-inducing crowd, if you have anxiety and escape issues like me. The show itself is good, but not as good as Disneyland's version, if you've seen that. So, decide for yourself, of course, but if circumstances prevent you from seeing this, don't feel too bad. I should preface this by saying that DAK is John's favorite park, and my least favorite. We only go a few times a year during the winter, because this park is the hottest of them all, with the least amount of A/C and shade. If you're visiting in the summer, I'd advise skipping it entirely. Come back in February; then it's nice. - Rafiki's Planet Watch (formerly Conservation Station) - go for the Tamarind monkeys, stay for the Sound Booths! Also, there are dozens of hidden Mickeys in the giant animal mural there, which are fun to hunt for. - The pork egg rolls & fried rice in Asia. Seriously the best egg rolls & fried rice I have ever had - we make a meal out of them. I haven't eaten at enough of them to give an opinion - but I've heard good things about the Yak & Yeti. - The rafting ride, if you don't want to get wet. Other than that, this park is so small you shouldn't really have to skip anything - so go see it all! - The Disney buses *will* get you anywhere on property, for free...eventually. Pad your schedule out if you plan to use them, no less than 30 minutes each trip. - Staying on property, but want a day off from the parks? You might try exploring the resorts. It's fun, free, and you can take the monorail between the Contemporary, Grand Floridian, & Polynesian. You can also catch a free boat ride in from many of the resorts to the MK. When you get bored with resorts, the Downtown Disney area is also free and full of great shops and fun things to see. Ok, fellow Dizgeeks, tell me: What'd I miss? Share your own favorite tips and recommendations in the comments! If you like thrills you'll need to check out Sum of All Thrills in Innoventions. You get to design and then ride your own roller coaster. It's pretty similar to virtual space mountain in Disney Quest but without the extra ticket cost. It's really good if you're like me and love upside down coaster, but hate how much they shake you. It's super smooth. I've been to Disney a few times but my boyfriend never has been. We are going in February and he is absolutely giddy! This is a wonderful starting point. Yay!! I'm definitely saving this and taking it with me next time Hubby and I go to Disney. And hopefully, that will be sooner rather than later. We live in Gainesville and really have no excuse not to go more often. Even though you've given your recommendations, would you ever be interested in going to Disney with a fan? I would just love to meet you and I would love to see Disney with you as well. JIKO!!! I think it's the best restaurant EVER! I always get the filet on a bed of mac and cheese. It was my go-to place to celebrate when I lived in FL. After I finished defending my dissertation, my advisor asked, so what are you going to do now? I said "I'm going to Disney!" I also recommend the Columbia Harbor House to eat in Disney World. Always fantastic. When I go now, I miss the fact that the amazing New England clam chowder used to come in a bread bowl. If you can sometime, get a reservation for Cinderella's Royal Table for a little before the fireworks start. You can have an amazing meal inside the castle and watch the fireworks through the stain glass windows. In Epcot, I also like the Coral Reef Resaurant for dinig. The views of the fish through the enormous glass wall are wonderful. In the resorts, I also recommend the Wilderness Lodge's Artist Point. Their Cedar Plank-roasted Wild King Salmon is unbelievable. Haha omygosh this is such an amazing list! :D I know you were talking more about what to see/miss, but as far as tips in general, I'd say that unless you go during the off season (eg. not weekends or during summer/spring break/holidays), check the weather beforehand and get fast passes, you'll have made a wonderful waste of 80-whatever-they've-raised-the-price-to dollars (if you don't get a rain check or have a fastpass meltdown)! :D Other tips of course are common sense, like wear sunscreen (even in the winter! ), don't go when it's over 95 degrees out, drink lots of water (even in the winter, ditto! ;)), be patient, wear comfortable walking shoes (not flip-flops/heels - seriously people! ), don't bring your kid(s) if they're under the age of five(sorry, but I work with kids, and dragging toddlers through an entire day at disney is cruel, to your tot, to yourself, and to everyone around you!). That's about all! I'm sad to see Animal Kingdom's Rainforest Cafe didn't make the list, but the food is uber-expensive for so-so quality (welcome to disney, ha! ), but the experience is great for kids and their $20-something VOLCANOOO!!! dessert is redonk delicious. Hollywood Studios - The Muppets 3D Preshow. You're backstage at The Muppets Theater with all of the silly props and costumes and trunks and stuff. And the video they run is hilarious. I like the preshow better than the actual show and have been known to ask to be able to watch it again before going in to see the real show. Magic Kindgom - Buzz Lightyear's Space Ranger Spin (I think that's the name). It's a ride and a video game. I'm not very good, but it's fun to shoot the laser guns. My family always has a competition for second place (my brother-in-law always wins). Epcot - I actually like the Universe of Energy. It's a nice, air conditioned place to take a nap. You might get woken up for a few seconds when the cars start moving, but, otherwise, it's a great midday break and the line is never long. I don't know if Off Kilter, the bagpipe rock band is still playing on the stage between Canada and Great Britain, but if they are, they're a lot of fun. And the Beatles cover band that plays in the little courtyard in England is fun too. I try not to miss those. My favorite restaurants are Cape Mays seafood buffet in the Beach Club (or Boardwalk...I get the two hotels confused). All you can eat seafood! And I like the Trails End Buffet in Fort Wilderness. It's less expensive and less crowded than some of the other restaurants and has a good selection. The ribs are my favorite. Bippity Boppity Boutique and the Pirate dress up (can't think of it what's it called) are really great if your kids are really into princess/princes or pirates. Make reservations before you come and still be prepared for a bit of wait (which is why if they aren't into don't bother). We do the boutique and one of the princess lunch/dinners on the same day for a special princess day. My family really loves the Monster Inc. one actually, so your mileage may vary. Also, next door is the Buzz Lightyear ride which is also fun. Unless, they changed it (I didn't get to ride when we were there this past may), I would ride the Energy ride at least once to see the movie with Bill Nye the Science Guy and Ellen DeGenres. Test Track was closed for remodeling last time I went. We ate at Yak & Yeti last time and it was really good. There's both a sit down and counter and they're both good. Lego Store in Downtown Disney shopping center. Even if you don't buy anything the Lego creations throughout the store and outside of the store are AMAZING! Loved it and can't wait to go back next time we get to go to Disney. Long time reader -- finally a geek post I can ponder! I'd add the band "Off Kilter" in Epcot to the "must see" list. It's rock-n-roll with a lead bag pipe instead of guitar. Cool stuff, plus they wear kilts! Food wise, I'd add Tonga Toast for breakfast at the Kona Cafe (in the Poly). Yum, plus it has fruit, so it's healthy. Wow! Perfect timing on this post Jen! We're going to WDW next week! I haven't been since 1992, so I needed an update. I may just print this out to take with us! Cuttlefish!!!! They're my favorite sea creature. Thanks for doing this post! I've never been to Disney World, but I'm planning a family trip for possibly 2 years from now (assuming we can pay off the car). This may be our only chance to go, so I appreciate having a frequent visitor & fellow geek point out ahead of time what's worth seeing. Carousel of Progress was always my must-see at MK, when it wasn't closed for repairs, etc. It's been way too long since I've spent any time at WDW, but our working plan for our honeymoon next fall is WDW & a Disney Cruise combo, so I'm crossing my fingers! At Epcot, we always hit the "Coke" around the world exhibit. Where you can try soda from different parts of the world. Some great like the watermelon and some not so great but it's always fun to try, PLUS it is very cool in there so it's a nice place to cool off! Aw, man! Wish I had known about a lot of the must see's! I went to Disney for the first time ever, in June (we even went without our kids >:-D). And I'm 30 years old. I did spend an entire day at Epcot exploring -everything-, though I didn't get to do nearly any of the must see's at MK. My goal for MK though, was just to finally see Cinderella's castle, in which I promptly cried upon seeing it. Yes, I'm a gigantic weirdo. We did see the fireworks show though. I didn't even know about the murals in the castle tunnel though, and now I'm sad. We were only there for one day while in Orlando, and do plan on going back with the spawnlings in a couple years. Also, FYI for all females out there. I do NOT suggest wearing a sun dress if you plan on doing Tower of Terror. Trust me. Olivia's Cafe at the Old Key West resort became a favorite of my family's on our stay there. Home cooking with a Floridian twist! Not sure I qualify as a Dizgeek since I've only been to the World three times (once as a toddler, once as a preteen, once as an adult in 2008 with my two besties from college--AWESOME TRIP) but I pretty firmly agree with your assessments! We followed the trip guides from The Unofficial Guide to Walt Disney World (with minor deviations for our various must-sees and must-dos) and I can't recommend it highly enough for people like us who can't make it to the World regularly. Great way to get the bang for your buck and your time. Not officially Disney, but I loved the sundaes at Ghirardelli Ice Cream & Chocolate Shop in Downtown Disney. Ohh, and we went to the Pirate and Princess party and did dress up for it (yes, at the ages of 26) and had a blast. Don't count those things out even if you don't have kids. Another highlight was being in the parade at Animal Kingdom. I forget what float we were on, but it was just a total right place, right time thing to get on it. Favorite overall ride: Rock 'n' Roller Coaster. Favorite recorded show: Muppets 3D. Favorite live show: Festival of the Lion King. Animal Kingdom IS the hottest place on Earth. And we normally got in October, so I'd hate to be there during the summer. Water Parks! We went to Hollywood Studios and then spent a whole day at Typhoon Lagoon. It is a SERIOUSLY fantastic park and we all had a blast. With a variety of ride speeds plus the most relaxing/well-shaded lazy river I've ever been in, it will be a must-have add on when we go back down. The food prices were high but think about sharing a fruit bowl (huge, with whatever fresh fruit you want!). - Journey into Imagination. Especially if you remember the original ride, don't torture yourself by seeing the cringe-worthy schtick-fest Journey has become. I was last at DW about 5 years ago (in January-- perfect weather-- Yay for homeschooling!). The thing I appreciated most was the relative ease of eating gluten-free. Not a problem for the rest of my family, but I wanted to enjoy the vacation! Everywhere we went in the park, I could ask what I could eat and I would get an answer from one of the chefs or a printed list of ingredients for all the foods. I asked at a kiosk one time about the turkey legs in Frontierland (you never know what's in the seasonings). The person manning the kiosk didn't know, so he called someone else, who called someone else--within 5 minutes I had three people (one a manager-type) out there with me, showing me a notebook of ingredients. "We have two vendors who provide our turkey legs; this is the vendor we are using this week, and none of them contain gluten." Everyone was polite and exceedingly helpful; nothing was done grudgingly. I know if you call ahead to the restaurants it's no problem eating gluten-free, but we were having a much more casual trip and looser schedule. I really appreciated being able to "eat on the fly" without having problems. The staff really knew what they were doing, and if they didn't, found the answer. One of the chefs at the counter service in The Land told me, "You can eat this and this and this, but not that, because it has soy sauce on it, which has wheat in it." So many people don't realize that most soy sauce is made with wheat as well as soy. I really appreciated the level of care. So, this all is just to say that if you have special dietary needs, DW is one of the best/easiest places to go. I'm not a Dizgeek, per se; I've only been to the World thrice (as a toddler, as a preteen, and as 26-year-old adult with my two besties from college--MOST AWESOME TRIP EVAH!) but I'd thought I'd say I agree overall with your assessments, Jen! As a note for others who can't get to the World terribly often: My friends and I used the trip guides in The Unofficial Guide to Walt Disney World and for people like us who can't make it terribly often, I can't recommend the Guide enough. I think it helped us maximize our money and time spent, though we did deviate from it slightly to hit various people's must-sees/must-dos that didn't make it in that guide. We also scheduled a no-park day for recuperation, which we did sorely need. If your trip is long enough for this, do it. And we dressed up for and went to the Pirate and Princess Party at Magic Kingdom and had a blast. Don't count those parties out, even if you don't have kids. Jen, is the Fort Wilderness campground still around? I have fond memories of that place as a kid. We always took our motor home to the campground and used their transportation system (or walked) to get to where we were going. One of my favourite places was a combination restaurant/arcade, located next to the Pioneer Hall. From there, it was just a hop, skip and jump to the launch docks to go to the Magic Kingdom. Back then, there were nightly events at the campground, like a free movie place outdoors, and the Marshmallow Marsh, which was a group trip by canoe, we toasted some marshmallows and sang some songs, and finished up with the Electrical Water Pageant. Don't skip the Animal Kingdom!! 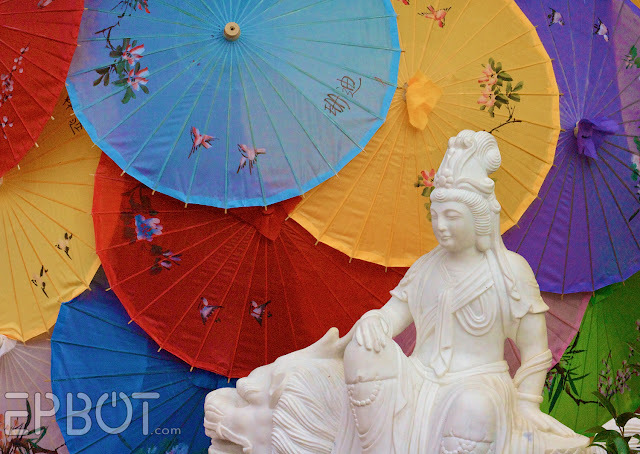 Yes, it may be hot in the summer, but the animals, attention to detail in all the decor, and the attractions are totally worth it. Bring a water bottle with a lanyard that you can fill at water fountains, so you can stay well hydrated. I think Fantasmic is a must see. I've seen the one in Disneyland, and while I love their Peter Pan segment, I think the wait and crowds are worth the spectacular show. The finale gives me goosebumps every time, even as I write this! And eat EVERYWHERE in Epcot. Everywhere. At least in World Showcase. The food is surprisingly good, and you can find something for everyone. Thank you for that! We're headed to DW for the first time at the end of September. I still don't have a real plan. I don't know why, but the few times you put 'Say hi for me' the Mark Walberg talks to animals SNL sketch popped into my head. I'd link it, but I can't find it. Sorry. Say hi to your mother for me. I can't believe you told people to do It's Tough to be a Bug. That might have been one of the most traumatizing shows I've been to at Disney - so icky (and my whole family agrees). Other than that, I pretty much agree with your assessment of the must-do's and best rides/shows. I prefer Via Napoli or La Hacienda (dinner) in Epcot, and I actually quite like Hollywood Brown Derby at DHS. For resorts, Artist Point and Flying Fish are pretty amazing. I love Fantasmic, but I agree that the logistics of seeing it make it almost not worth it. From a former cast member... there's a 'meditation' area inside the Morocco Museum building at EPCOT that's the perfect spot if you want a place that's quiet, always empty, and air conditioned. Word is it was designed to give Muslim guests a place to pray in private there are even small prayer rugs to borrow if you'd like to sit. It's just as you enter the country on the left hand side, big wooden unmarked door. I'm surprised that Mission: Space wasn't mentioned at all for Epcot. Not that I would know enough to say either way whether it is a must-see or a can-miss. 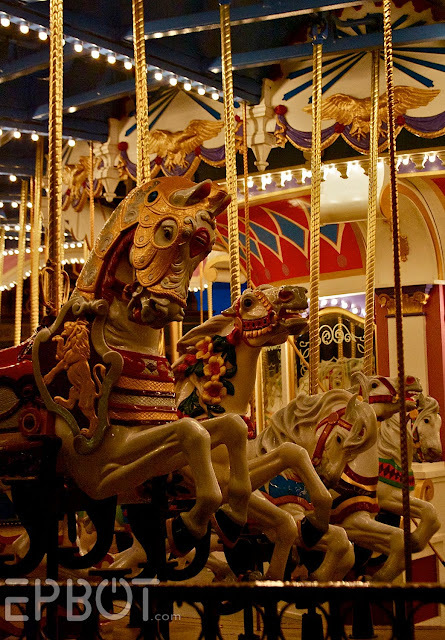 I have a very low tolerance for moving rides (seriously - even merry go rounds make me queasy) and even the "tame" version seems a bit too much for me. But I know it's a hugely featured attraction. I never went to Disney World as a kid, but when a friend of mine moved to Orlando a few years ago, I started visiting her and we'd go to the parks. Wow! I may be 29 but I LOVE DISNEY WORLD. Epcot is probably my favorite, and I was lucky enough to stumble upon the Morocco eatery (the one with trays) and the shops in Japan and Maelstrom in Norway :) Highly recommend all three. I still haven't been to Disney Hollywood Studios, but I'm told that's less interesting unless you like 4D shows (and I'm not the biggest fan) or thrill rides (definitely not). Hehehe I am not a Fantasmic fan either for the same reasons, we did it once or twice and never again. I second Boma, I take friends and family there on their first trips, it always wows everybody, plus you get to see the Animal Kingdom Lodge, which is also my favorite resort. I love that spot at Columbia Harbor House, we normally get a sandwich and chowder from there and carry in another item from Sleepy Hollow, settle down and people watch. We used to bring the chicken and rice soup from Sleepy Hollow, but they don't offer it anymore, no big though, we just bring one of the tasty waffle sandwiches instead and split both the waffle and sandwich. I went to WDW when I was 16, on a school trip in March of 2002. We had three days or something like that, and a park hopper ticket. My friend and I wandered through Hollywood Studios, Magic Kingdom and Epcot and saw practically NOTHING. 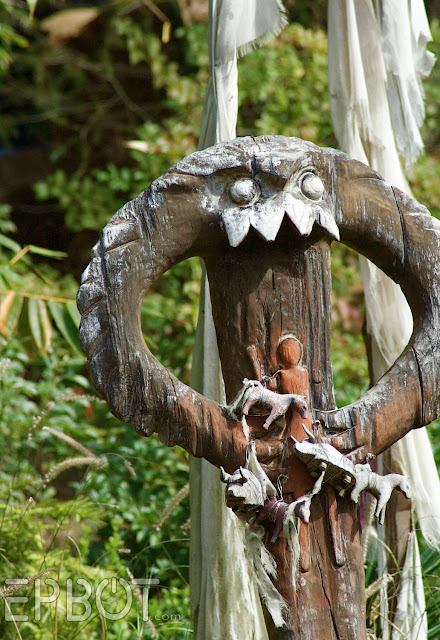 Every time I read about stuff in the parks, I find myself thinking, "Where was THAT!?" I remember we specifically came to the conclusion the Pirates ride was only at Disneyland because we couldn't find it. It's like I'm retro-actively disappointed by how crappy that trip was when it didn't have to be every single time I read about the parks. If you have some money to blow or are there for a SUPER special occasion, Victoria and Albert's is a great place for dinner! My husband and I went almost 4 years ago on our honeymoon and he still thinks it's the best meal we've ever had. The staff there is amazing--they listened to all of our allergies, and when we got lost trying to get there (our GPS tried to take us through a gated off road) they didn't make a big deal out of it and said to just relax, take a deep breath and they'll take care good care of us during our meal. @ Liz - John & I frequently meet fans out at the parks, so yes, send me an e-mail a little before your trip! @ Rue - excellent point about the Muppet pre-show. I'll go add that in to the list. @ Lisa - LOL - "icky?" Yeah, I can see that. The bugs-under-the-seat thing made me jump a mile high. Still, I'm a fan of experiencing the iconic rides, & since that one's in the Tree, it seems like a gotta-do-it-at-least-once. @ Amy - I didn't mention Mission:Space because that falls into the "good" category. Not spectacular, not bad. I can only do the non-spinning side, though. And, yes, DHS has the least to do if you're not a thrill-ride fan. Ever since they removed the Hunchback stage show J & I don't go much anymore; not enough to do! Did "world's best" look like a cookie cone filled with a cream or fruit or a thin pancake filled with butter and a sager mixture? I know they had lefse (the pancake) when I went ... 15 years ago and probably had krumkake (the cone). I keep harping on my husband to go on a vacation but he thinks its "for kids", one day. I agree with your list! Yak & Yeti was a new experience for us the last time we went and I was impressed. Also, those egg rolls and fried rice! Oh. My. Word! It was also the first time I got to ride the Toy Story ride at Hollywood Studios. Every time before it was just too packed. This time, a Disney exec happened to be in line ahead of us for the Little Mermaid show with his daughter and we were discussing plans for later. He noticed the Celebrating pins (the 8-year-old's birthday) and gave us his fast passes because he had to meet up with his family after the show. I was floored! And just reaffirms my love for Disney! Mission: Space is a must see for me every time I go to Epcot. I grew up riding it with my dad, but these days my husband and I ride it together. Jiko is our favorite restaurant, by far, but we didn't have a bad meal there. We researched our meals meticulously. If you have a smartphone, the Disney App is invaluable, although I've heard it doesn't work well at Disneyland. a) For rollercoaster fans, Rockin Rollercoaster and Everest are AWESOME. Seriously, great coasters. My Dizgeek husband loves Tower of Terror and the atmosphere is awesome but I'm just not a huge fan of drops like that. b) definitely avoid the rafting ride in AK unless you are prepared to get soaked. We went on it and then ate at the restaurant inside the Polynesian and the heat + wet + super-cold AC made me sick. d) the snack stand outside the France pavilion has Grand Marnier slushies. Let that sink in for a minute. Ive been quite a few times & I agree with most of your tips. Except: It's a Small World. classic, must do for us. Dinosaur. Really? I so did not like this ride. We love Boma so much. This is great!! I would highly suggest spending at least one night doing the Extra Magic Hours in one of the parks. It's so fun going through the lines in the rides in like 10 minutes. Also, some of the characters do stay out late in these parks. If you're riding the monorail, say hi to the friendly monorail captains, and if you've got a small group, like 4 or less, ask if you can ride in the front with them. Most of the time they'll say yes, and you can take all the pictures you want from the front of the monorail! It's been awhile since I've visited, so forgive me if these are "dead links", but I loved the Brown Derby restaurant at Studios--great food, really fun, Old Hollywood environment. Test Track at Epcot is a must. Visit the pyramidy thing in Mexico, but DO NOT EAT THERE, it made me violently ill and according to my insider, who was a chef at Disney World for 15 years, that particular restaurant is not a "Disney" restaurant, but an outsider-leased one. I second the Morocco restaurant. The luau at the Polynesian Resort is worth the trip, the entertainment is fun and encourages audience participation, and I appreciated the AMAZING vegetarian meal they prepared for me over the bland pasta and vegetables most meat-heavy restaurants prepare as a substitution. I loved BEING in Cinderella's Castle for dinner, I did not enjoy the two-hour wait WITH reservation and the surprisingly dreadful food. Chef Mickey's for breakfast was soooo much fun and we saw lots of characters. The Crystal Palace (???) restaurant had a nice buffet and lots of characters, too. Skip the parades unless you're into crowds, you can see the fireworks from just about anywhere within 5 miles of Magic Kingdom, so even if you're on a boat or in a train or leaving in your own car, you will still get to see them and beat the mad rush out of the park. Animal Kingdom's at the bottom of my list, too, it's hot and it seems like there is a lot of standing around in the sun. The animals, though, are worth the trip for little people. I LOVE the Kali River Rapids, but be aware that if your group size is odd-numbered, you may end up being wedged into a far-too-small seatbelt with a ginormous sweaty stranger. Just want to second the recommendation of Boma from my experience: as a vegetarian I had struggled a wee bit at Disney. At Boma I asked a chef if a particular dish was suitable for vegetarians. He said it was and then asked where I was sitting. I thought he was just going to have someone tell me what was veggie or something. Nope. A few minutes later he sent out the most gigantic platter of freshly cooked, amazing and delicious vegetarian food. I have never been so full in my entire life. We didn't have to ask for it, we didn't get charged more. They just did it. Absolutely awesome restaurant and people. @ Toria - Sadly, riding with the monorail drivers is no longer an option, after the tragedy last year. I'm not sure on Disneyland's policy, though, so they might still allow it there. Overall, I think you did a great job with this list! I agreed with almost everything you said. One thing I would add to the list is Mission Space- the spinning version. I've actually been on both versions, and I have to say I was pretty impressed with the non-spinning. However, the original is pretty awesome. I completely understand why you haven't been on that one, but for anyone that can deal with the motion, I definitely recommend it. As someone who usually doesn't care about watching shows, I have to agree that the Beauty and the Beast show was great. Definitely glad we took the time out to see that one. One show I'm now especially glad we didn't fool with was Fantasmic. We passed by that area long before the show was scheduled to start and there was already a good-sized line forming. It really was not put in a good area and I couldn't imagine trying to fight my way through there. Since we went in December, we were able to see the Osborne Family Spectacle of Lights instead. Now THAT was impressive and something I highly recommend during the holidays. On another note, it really is amazing how dead the upstairs area at Columbia Harbor House is, isn't it? The place was a madhouse downstairs- huge lines for food, people running around everywhere trying to find and save tables. In contrast, the upstairs was so quiet and peaceful with tons of large tables and- big bonus- a restroom hardly anyone was using. Great list! One thing I can't stress enough to people who have never been: PLAN AHEAD. So many visitors think they can just show up and decide what to do as they go. They end up totally overwhelmed and exhausted and miss out on so much cool stuff. As soon as you book your trip, invest in a couple different guides (the Passporter series is awesome), start cruising websites and message boards, and make a plan. You won't be sorry! Oh, Jen... I can't believe you didn't say ANYTHING about Mission: SPACE! How could you not list it as an Epcot must-see thrill ride? I loved it so much that when I applied to work at WDW, I requested to work there. It's amazing! Just don't do the wimpy version (which we didn't have when I worked there)--do the real thing. Keep your eyes open the WHOLE TIME if you get motion sickness. Your brain believes whatever it sees so it will think you are going forward. If you close your eyes, you will feel the spinning. Don't worry--it's a smooth spin. All you feel is pushed backwards into your seat. NASA helped to design this attraction, and they say it is the closest you can get to what it really feels like to go into space. I get your dislike of the hour wait for Fantasmic to begin, but I, personally, think it is VERY worth it. I love it! BTW, Jen, just saw your comment about Mission: SPACE. The reason it falls into the "only good" category is because you do the non-spinning version. I get that some people can't handle the spinning, but it really loses all of its magic without the centrifugal force. If you don't think you can handle the spinning (see my previous tips if you are wary, and don't be scared of the signs unless you REALLY do get motion sick easily), then it probably isn't a "must see." I sure miss the masquerade in Epcot's Italy to "It's Time to Say Goodbye." It was my favorite experience from being a college program intern there. Good list BUT Fantasmic is a MUST! Sure it's a bit of a wait but the music is powerful, the story is moving and it's awesome to see all your favorite characters in one place. Also, the Laugh Floor is incredible when you think about how awesome the actors need to be to improv at that level. Once, a guy's cell phone rang in the middle of the show and the next monster that came on stage had a cell phone, mimicking the audience member! We're taking my mom and sister to their first ever trip to Disney World in 14 days! I was barely containing my excitement and this post has me bouncing off the walls! Great list! I actually work at the California Grill and agree that it is an amazing place to eat! However, you technically have to have eaten there that night to go up and see the fireworks. The only way to get up to the restaurant now is to check-in on the 2nd floor and be escorted up in the elevator. And they will most likely ask to see your receipt. You can, on the other hand, go up to the lounge/bar for a drink or even a meal (full menu, no reservations) and stay for the fireworks. Also, if you are planning on doing Peter Pan's Flight in MK, be sure to get a fast pass...the wait is always 45+ minutes. Also, highly recommend Buzz Lightyear Ranger Spin in MK. You meet people at the parks? Like on purpose, or by happensatance?? We're heading down on Tuesday for my daughter's 5th birthday/My mom's done her cancer radiation trip. If you're not seasonally blocked out till the 19th, maybe we'll see you there! ;) I've got my Carrot Jockey pin on my parks backpack! Love lots of your list, but what about it's a small world...? Classic Disney! Yeah, it can get annoying time after time, but if you've got young kids like I do, seeing them light up at the corniacopia of colors is something else. I also have a special place in my heart for the Peoplemover. Glad it was on your list! Such a great way to people watch, get off your feet, and still feel like you're "doing something." Our favorite place to eat has to be Le Cellier - the cheddar cheese soup is to die for, and though I'm sad they did away with the peppercorn filet medalions, the mushroom filet is always popular. My kids always get a kick out out PUSH, the talking trash can. He made everyone sing Happy Birthday to my embarassed hubby once. So fun! Sadly I agree about Imagination. But since we have kids we must ride it at least a dozen times while down there. I miss Dreamfinder! Jen - We went to Disneyland in April, and were able to ride up front with the monorail pilot. It was awesome. I'm a huge Disney geek, and I would agree with most of your list of Must Sees. We haven't been in a few years, and we're all missing it terribly. Thanks for this surprise dose of Disney today! It's been a long time since I was at Disney World (I'm more of a Disneyland fan) but I definitely remember Animal Kingdom as a highlight. Dinosaur is the best--it's Disneyland's Indiana Jones ride, but with giant animatronic dinosaurs! I also hear they're planning on putting in an Avatar (blue cat people Avatar, mind you)-themed world in Animal Kingdom--when it's completed, I'd love to see a review of it from Jen! I don't remember any of the food being particularly spectacular... though I do remember Epcot as having some highlights. Word of advice, though--if Rainforest Cafe is still at Animal Kingdom, skip it unless you're really into restaurants with atmosphere. The food was less than impressive--but it really did feel like it was raining! I've only visited one of the parks -- Disney Land, in 1976! The Husband has never been to either. (I was *shocked* to discover that he didn't know that the Johnny Depp movie had references to the ride in it! He thought they just used the title!). That said, can anyone tell us when the best off-season time to visit is? We don't have children, so we don't have to time vacations to school breaks (and would rather not!). Also, if you're interested in seeing Japanese candy sculpting and live in the Greater St. Louis area, there is a candy sculpture who preforms at the Japanese Festival at the Missouri Botanical Garden on Labor Day Weekend! His candy isn't colourful like the picture, though. YAY!!!! I LOVE wdw - have been 4 years in a row now - our trip is planned for Dec this year. So I agree with everything. My story proves it is a small world. I love Disney - I'm a member of Zonta. I go (from Australia) to WDW & make friends with the local Zontians. Zonta International has announced it's big Internation Convention 2014 will be held in Orlando (YAY!) and the local Zontians launch a cake decoratoring fundraiser "Frosted". Talk about all my worlds colliding! Psst... The egg rolls and fried rice are in the Asia section of Animal Kingdom, not Africa. Just a heads up. And to everyone else, don't skip the face painting in all the parks! We're awesome. Just saying. I agree with most everything you have said. I would only add that we like to eat at Kona Cafe for breakfast on our last day. Just a last little Disney taste before we head home. If you like coffee, then this is really the only good coffee on property. And I am a sucker for the Tonga Toast. We are so bad that last time we were in Orlando visiting The Parks That Must Not Be Named, we drove over to the Polynesian for the last breakfast. It just didn't feel like we had visited Orlando without a little Tonga Toast and Kona coffee on the last morning! Jill, in response to your question about a good off-season time, I'd like to recommend early December. The time after Thanksgiving week through the week before Christmas is supposed to be quieter, and based on our trip last December I agree. Although the extremely popular rides will always have long lines (Soarin', Toy Story Midway Mania, Test Track, etc), the lines were definitely shorter overall. Waits for things like Tower of Terror, Star Tours, Splash Mountain, and Mission Space were 20 minutes or less. When we went to Animal Kingdom we got to go on Everest twice in 15 minutes. My kids also really LOVE the Kim Possible quest, which I guess is now Agent P's thing - they will be THRILLED b/c we are huge Phineas & Ferb fans. Also, for those with kids: Plan your day with a mid-afternoon break to avoid the crankies. This helps them last for later evenings with fireworks and such. If you are staying on grounds, plan to attend every early admission and late night "magic hours" or whatever they call it. WORTH IT because lines are shorter! The ONLY way to really do Toy Story Mania is to be there when the park opens and send a few of your party to RUN there for a fast pass. If you're all fast enough, you can run for a fast pass AND get in line right away, so you will get two times in one day. It can be done! I LOVE Disney, but have been to DL more than DW. I took my 9 yr old daughter there (with my family) in October, and have a couple more recommendations. First, if you have any bug issues (like screaming at spiders), DO NOT see the Fun to Be a Bug show. I was hyperventilating and almost left in the middle. EWWW. The Princess Breakfast at the Norwegian restaurant in Epcot is very worth it. You get a portrait with one princess, and 4 more come by your table. The food is also yummy. Since my child is also a Star Wars fan, we got to Studios early to sign up for Jedi training. She loved Turtle Talk with Crush - and I admired the tech behind it. We liked Mission:Space (the wimpy version), and the French restaurant at Epcot. I LOVE the Space Ranger Spin. LOVE LOVE LOVE. (I even went on it in France). I recommend if you HAVE to see Fantasmic, to get reservations for the dinner/show combo. You get better seating, and don't have to get there quite as soon. My best advice is to relax, enjoy the sights, and the queuing entertainment - cause you're going to be in crowds and lines. But it is the happiest place on earth! Hope to see you at Star Wars Celebration!!! Ok - as a fellow Floridian and WDW regular - I have to say your list is pretty much spot-on with my family's faves. However, I do have to give you some good natured flak over a few rides and Fantasmic. I agree - don't go to Fantasmic if you truly can't take the crowds, but if you can sit near the back it's not so bad. We do wait for the majority of the crowd to leave before we even try to get out of the arena. We actually prefer it over Epcot's show (I know - I can't believe I'm saying that!!!). I also think MK's fireworks are a must see - as well as the night-time parade in the Magic Kingdom. I disagree about the Maelstrom, for some reason it just has never really appealed to us. We liked Monster's Inc. and love Buzz LIghtyear. When we go to Disney our short list for absolute, 100% cannot miss, must sees is: Pirates of the Caribbean, Haunted Mansion, Soarin', Tower of Terror, MK's parade, and the night time shows. Everything else is just gravy!! 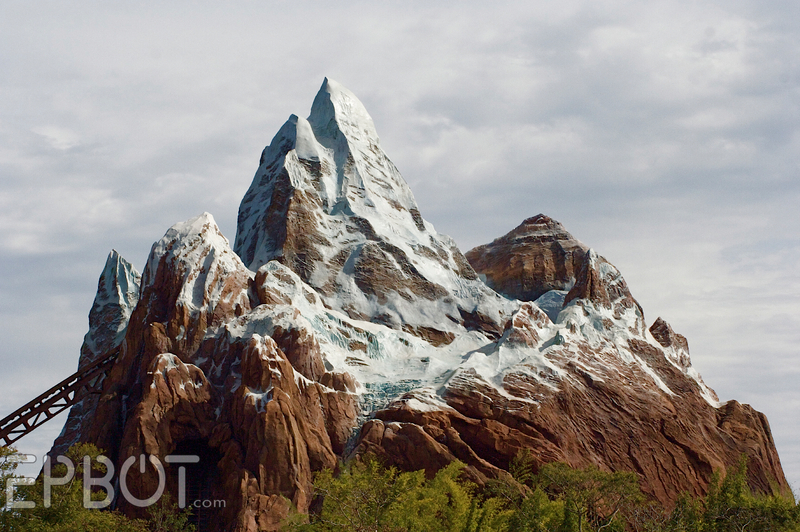 Two restaurants I would add - Yak and Yeti really is delicious and doesn't seem like theme park food at all. We also love Tutto Italia in Epcot if you want a splurge. It is unbelievably expensive but really yummy. We skip the Coral Reef - it has passed its hey day. If we have little girls in the group we hit one of the princess dinners - we like Cinderella's Royal Table the best and do not like Akershus at all. I also think the water parks deserve a mention just for the theming alone. If anyone is going at Christmas - your suggestion for touring the hotels becomes a must see. My absolute most favorite times to visit are the first weekend in December - decorations but no crowds........and the first week of May. It's warm enough to enjoy the sun, but not sweltering yet....and the summer thunderstorms aren't at their worst. Boma is DELICIOUS! Also, if you get a chance, go outside after dinner to the outdoor fireplace and listen to a staff members tell traditional African stories. It's so cool! And we like Universe of Energy because I am a super Bill Nye fan, plus if your feet are getting tired it's not a bad chance to sit down before you walk back to the monorail/bus stop. I'm a huge Disney World fan! I've even been Tokyo Disney. You hit most of my favorites. Personally, Epcot is my favorite of the parks, and my favorite restaurant there is a the Japanese restaurant, Tokyo Dining. It's delicious and the staff are always very friendly. I can't believe you didn't recommend Le Cellier steakhouse in Epcot. Reservations can be tricky and its expensive but the food is more than worth it. Make sure you try the cheddar cheese soup. Make sure you plan a few days in advance if you want to get reservations. 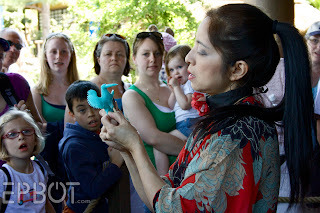 I also recommend the Behind the Seeds tour at The Land in Epcot. The tour takes you through all the of the greenhouses you see from the boat ride and is a surprisingly enjoyable way to spend an hour. Great list! You hit some of my favorites: Haunted Mansion, Pirates, Philharmagic, Space Mtn., Everest, Festival of Lion King, and Soarin'. I actually like the sit down at Germany...met some nice people that way. You didn't mention Country Bear Jamboree or the Tiki Room or Small World. I have always liked those (mainly because that was what stuck with me from my first trip to Disneyland as a 4year old--dancing singing dolls,bears, and birds--heavenly for a 4 year old). Last summer, my best friend and I spent a week in Disney and had the most amazing time! A year later, we still talk about it as if we just got back. Your list pretty much touched on everything we did, so you just helped me relive a fantastic trip through an outline :-) One thing I want to add to your list though is the Coral Reef Restaurant in Epcot. The food was fantastic and it was so cool dining right next to a giant aquarium. Thanks for the fun trip through memory lane! It's been a while since I went to WDW but I LOVE it. I second your opinion on the Primetime Cafe...SO fun! We went there when I was little, and so I had to take my hubby when we went a few years ago. Also at Downtown Disney, go to Bongos for lunch. The food is SO good, and the pina coladas (I had virgin!) were the best I've had since I had them in Puerto Rico. Do not fear food allergies! @ Anony - Whoops! Thanks for the correction; I just changed it in the post. @ Michelle - I considered recommending Le Cellier, but it's gotten so difficult to get a reservation & so expensive I figured I'd skip it. Plus the time we were there we were surrounded by young kids and loud groups of sweaty tourists, which didn't jive with the romantic dinner you might otherwise expect. ;) The cheddar cheese soup IS to die for, though; we get it every Food & Wine. The "World's Best" really is one of the world's best cakes! My brother's favourite and my mom makes it all the time. And yes, I live in Norway. If you ever find yourself nearby, I'll have her make it for you. :) Love your blog! You got some things completely right. Philharmagic is amazing, and you can't skip the classic rides. And I basically agree with you on most of what you said. I just have to disagree with you on several points. First of all, about Monster's Inc: the quality of the show absolutely depends on the audience. It's best when people play along! My mom and I never skip this. If you didn't like it the first time, try again (maybe not right away). Each bit/act of the show has a couple variations, so it's not always the exact same thing. Liberty Tree Tavern at MK (FOR DINNER ONLY) does an all you can eat family style dinner that's tradional thanksgiving fare. Roast beef, turkey, ham, and all the trimmings. One of my top three WDW restaurants. Casey's (also at MK) has great hot dogs and mini corn dogs too! Captain EO is horrendous. It's as good entertainment as a trainwreck, (as in so terrible you can't look away) and when it's over all you can do is go WTF did I just see? 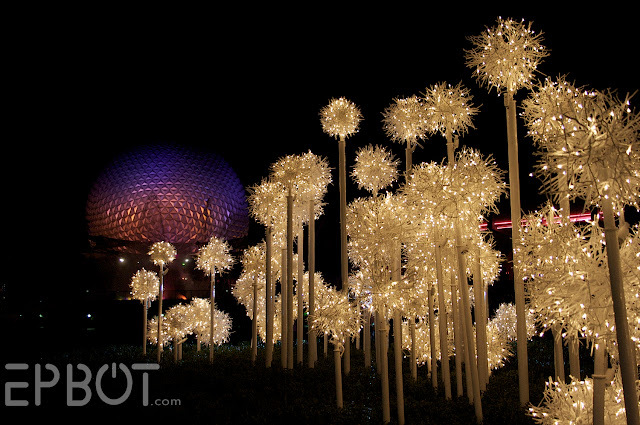 Our favorite restaurant at Epcot is Le Cellier in Canada. It's hard to get a reservation, because it's a small restaurant. And it's an expensive meal. But the food is always incredible. Best steak on property. Illuminations is a Meh for me. I don't get what people like about it. There aren't enough fireworks and unless you have a front row seat you can't see anything on the globe in the middle of the lake. I am a huge fan of Beauty and the Beast. The movie. Not so much the Hollywood Studio show. The acting is corny and kind of awful and they intentionally change the rhythm and cadence of the music so people can't sing along which is understandable but incredibly jarring if you like the music. Fantasmic, however, is an absolute MUST DO. It is absolutely worth the wait and as long as you don't try to pack out immediately (like everyone else is doing) the exit can be very smooth. Mickey + a plethora of Disney characters + Fireworks = AWESOME. If you don't like bugs, which I do not, DO NOT GO SEE It's Tough to be a Bug. I loved Bug's Life, but hate that show. GIANT BUGS. UGH. Dinosaur is very jarring, and kind of terrifying. And loud. VERY LOUD. I hated it. MK: Haunted Mansion, Pirates, Peter Pan, Wedway, Buzz, Laugh Floor. Space and Thunder if I have a friend to ride with me. Liberty Tree Tavern or Casey's and a citrus swirl. 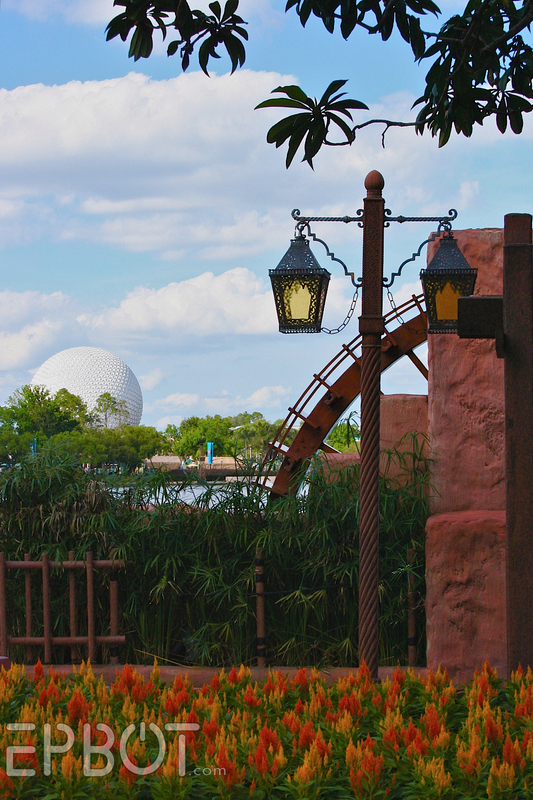 Epcot: The Seas, Crush, Living with the Land, Spaceship Earth, Maelstrom. A tour around the showcase, popping into every store. Dinner anywhere in the showcase. Literally every restaurant there is good. Studios: Tower of Terror (like 3 times), Rock'n'Rollercoaster if I have a friend along to ride, Toy Story, Art of Animation's drawing Class, backlot tour, Muppets, Star tours if the line isn't too long, Fantasmic! AK: If you can do all three in one day, Flights of Wonder, Festival of the Lion King, Nemo: the Musical. Walking trails, Planet watch. Everest. Everest. Everest. Everest. Everest until the line is more than 30 minutes or my brain is fried from the G-forces. I've been complaining about the new 3d shows ever since they took captain eo away!!!!!!!!!!!!!!!!!!!!!!!!!!!!! NEED. TO. SAVE. MONEY. ASAP. Aww. Now I miss Disney again. You're definitely spot-on with the reccomendations. I wouldn't completely rule out Fantasmic. I'm definitely glad I've seen it, and it's good to go if you're there with someone who's new to Disney. But if you go often there's not really a need to see it every time. Also not really a reccomendation as to where to eat, but it's pretty nice to be able to watch the Illuminations while eating dinner. We had reservations in Mexico and asked to be seated by the window. Awesome view, good food, zero crowds. And if you're able to, definitely stay on property. The Treehouse Villas are my current fave, but then again I've never stayed in the Polynesian. (someday...) But the extra magic hours are awesome. Beats wandering around in the heat. Not to mention the general amazingness of the Disney resorts themselves. The tiny train village outside Germany in Epcot is another hidden gem. Another recommendation for the Tangierine Cafe in Morocco, their couscous and lentil salads are fantastic, and so refreshing on a hot day! The Kringla sweet almond pretzel in Norway is our must have treat for every visit. The pastry shop in France at Epcot is amazing! I especially like the chocolate croissants. Something you might miss in that same area (France by the pastry shop) is the gorgeous Beauty and the Beast stained glass. Some of the sections are just like the ones from the movie at the beginning. Adding to the Yak & Yeti love. The food was so good, and a welcome break from "theme park food". Whoop!! Perfect timimg....I'm off to the house of the mouse in just over a week and CAN! NOT! WAIT!! Have to agree with pretty much all of your list except the Fantasmic one...wouldn't miss it! That and Wishes make the 8 hour flight (and all the ££££'s spent!) soooooooooo worth it! For silly fun, especially if you adore Fantasia as much as I do, I really recommend the Fantasia mini golf. Also, if you like being spit on, check out the Aladdin themed restaurant in DWS. I promise it's not that bad. I also really think the water parks are quite fun- I preferred Typhoon Lagoon though, even as a kid- it's smaller and a bit less crowded. Turtle Talk with Crush in EPCOT - always funny and often hilarious. We love it - and we don't even go with kids. Still trying to figure out what technology they're using to make the magic. Saana restaurant at Kidani is our favorite at entire resort. Excellent vegan menu. It is interesting to me how my list matches Jen's; I guess us "geeks" have similar tastes! 1. Do not pay for water. Go to a counter service restaurant, walk straight up to where you get food, and ask for a large cup of ice water. It's free. You can also carry in soda and ask for a cup of ice to save $ this way too. 2. Eat at off-the-beaten-path counter service and snack places instead of having burgers and fries; fried chicken waffle sandwich at Sleepy Hallow in MK, the roast chicken platter at Starlight in MK, gourmet hotdogs at Fairfax Faire in Hollywood (bleh, MGM!) Studios, etc. They are more filling, often "healthier" and cheaper (and can be split because they're so big!). Thank you so much for posting this! I've been to Disney World 3 times, but it's been a while. I've been on all of the rides you suggested but I plan on saving this list so I can check out the other attractions and restaurants. I'm so glad you included the Beauty and the Beast show. I was four when I went for the first time and I remember my mom telling me a story about when we saw the Beauty and the Beast show. Apparently we missed out on getting seats and my grandma suggested we watch through the fence. (Not sure if you can still do this, but you could stand at the fence and still see and hear everything, but you would be standing the whole time.) My mom, who was not only a few months pregnant with my brother but also knew how much of a fan I was decided we would come back for a later show so we could get seats. This was a great decision because when we came back later I was mesmerized for the entire performance. I was sitting on the edge of my seat mouthing along with every single song. It's probably one of my favorite Disney memories! What a great post! I will remember this whenever we are able to make it out to that part of the country. We went to Epcot center when I was pregnant with our first child - many, many, many years ago but didn't go on any rides because of the pregnancy. I know - lame. Hoping to make it back out there someday. My husband and I are seasonal CMs at "the world". We seriously can't get enough of the place. We miss Disney terribly right now. 400 mile is too far away. As a matter of fact, my husband looked at me yesterday and said, "If we leave now, we can make it in time for Wishes!". Do you know how hard it is to say no to that? I also want to place a little emphasis on seeing "Festival of the Lioin King". It is absolutely the most spectacular show on property. I cry tears of joy every time I watch it, and I have seen it many times. The whole show, from beginning to end, completely enthrolls my whole family. To all of those who have yet to go, please try to do so at some point in your life. It truly is a magical place. For those planning a trip in the near future, have fun making a lifetime of memories! As a big Disney fan, I love this post. It is very helpful, especially for first time visitors to the park. Since you haven't tried many restaurants in Animal Kingdom, I would highly recommend Flame Tree BBQ. It is super yummy. At Fort Wilderness there is a nightly sing-along followed by a movie. You can bring your own s'more makings or buy them there and roast marshmallows at the fire. Be mindful of the unattended children with flaming marshmallows though! The sing-along and movie are free. We do camp there. The bath houses are very well maintained and usually your neighbors in the campground are wonderful. People decorated their sites for Halloween and Christmas. Wow, your quote about Fantasmic! at DHS took the words right out of my mouth. I went with my mother to WDW about 5 years ago and we waited for Fanstasmic because she's never seen the DL version and I wanted her to experience it. DHS's is NOTHING like Disneyland's, and I was annoyed that we spent so long waiting and still were in the last row (standing room only!) of the amphitheater. One corollary I'd note is that for frequent Disneyland attendees, Dinosaur in DAK is essentially Indiana Jones with dinosaurs (which I learned when I first spotted the vehicles in the load area), so if the line is super long, you may want to skip it. The fish and chips in EPCOT at the England area are great. They are super authentic, crispy, delicious, and cheap by the standard of park food. If you have the money and the inclination, the water parks are great, not just in the summer. We went to Blizzard Beach in October and it was less crowded and so much fun. Of course, I have also had the unique experience of going to Disney World when I was 12 without my parents. It was a school choir trip and they basically handed us meal tickets, let us free at the gate, and told us to be back at a certain time. That was magical. My friends and I figured out all the transportation and had an amazing time. Disney is the safest place on earth so everyone felt very ok with letting us do that. If your kid has the opportunity, let them do it!! Thanks for posting this. We'll be heading out for Disney in a couple of weeks, and will stay just under a week. My husband and I had our honeymoon there 17 years ago. That was before they brought out the meal plans, as such, but we did have a breakfast plan, which was nice. A few years ago we brought the kids to the Magic Kingdom on a day trip when we were in Florida for another reason. I think I'm looking forward to it more than the kids are. Muppets muppets muppets! If you want to stay on property, try the cabins at Fort Wilderness. A little pricey, look for bargains, but they sleep six, have a full kitchen and an outdoor grill and picnic table and maid service. There's enought to do there, that you can even skip the parks. The new Art of Animation resort is fantastic also, especially if you are a Cars fan. If you know your way around the back roads of the property you can find free places to park also and they get you in and out a lot faster then the parks lots. Mission Space is basically a really big gravitron with video and buttons and individual seats. So basically it spins you really fast mimicking G-Forces. I can ride some of the biggest and baddest roller coasters in the land without qualms, but this ride (or any ride that primarily just spins you) makes me absolutely green. Even though previous comments already mentioned eating gluten-free, vegetarian and with food allergies, I have to add that for kids with food allergies, Disney really is the happiest place on earth. This week we will be making our annual trek from the gulf coast to the T Rex Cafe for my son's birthday lunch. They send a chef out to the table who prepares a safe meal from beginning to end. I can't even tell you how much he loves being able to eat in a restaurant, let alone one with DINOSAURS. Bonus, it's right next to the LEGO store. For him it's a little slice of heaven. Wow! Very wonderful! Thanks for sharing Disney world, reading your post makes me more excited of my Disney trip on Christmas. Ditto-ing what Hazel said - Sum of All Thrills in Innoventions at Epcot was really cool. We skipped most of Innoventions, but sought this one out & it was well worth it. We also really liked Turtle Talk with Crush in Epcot. Kids and adults both thought Crush was super cool! You need to come to Europe and see Disneyland Paris! You'd love our Jules Verne inspired Discoveryland and the new night time show Dreams is meant to be the best found in any park! Have you guys tried the new(ish) restaurant in the Mexico pavilion, La Hacienda de San Angel? It's the one on the lagoon side. Two years ago, my wife and I were there during the Food and Wine Festival (can't recommend this event enough, it is fabulous), celebrating our anniversary, and stumbled upon it while it was in its soft opening phase. It is now our "must have" whenever we are there.The food, staff, and decor are all excellent. Plus, you can get a table near the windows overlooking the lagoon and watch Illuminations from there while enjoying one of their amazing desserts (try the empanada, trust me). Oh, and allow me to second your mention of the egg rolls and other Asian dishes from Yak & Yeti. We have an Asperger's child who is normally very picky about his food choices, but one day decided he wanted to try the counter service restuarant in Asia. Now, we always have to stop by for a couple orders of egg rolls and some honey chicken, regardless of the time of day or the weather. We have even ventured into the sit-down version a few times, but the quick service is still our favorite. My family and I just went to Disney this past June, with my two girls ages 6 and 4. I have to say if you have little girls that are into princesses (or just yourself) :) You have to go eat at the Royal Table. It is inside the castle! All the Princesses come up to your table to sign autographs, take pictures and talk to your kids. It's expensive but totally worth it. It's not rushed and you are not standing in line for hours just to get your picture taken with your favorite princess. Unless you have a huge Tinkerbell fan don't bother standing in line for that either. It takes FOREVER because they only take one or two kids in at a time. It is at least air-conditioned, but your time could be better spent elsewhere. If there is some place that you really want to eat (that is a sit down meal or character dining) you want to make reservations online in advance. One of the best places we went was the Liberty Tree Tavern at MK. It is a Thanksgiving type meal that you eat in an old colonial looking house. I really recommend that character dining as opposed to the quick service meals. We did not have one good experience with the quick service meals. You have to stand in line with lots of rude people for a long time to eat crappy fast food. I do have to say that the Disney World workers are some of the nicest people in the world! They were all so friendly and nice. We are coming to the World in 17 days- and reading this post has me SO excited! I think if I actually met you there, I would probably pass out- or be too tongue tied to actually speak to you! Thanks for reminding me that the 22 hour car ride with 3 kids is ALL going to be worth it! O'hana is our favorite- because grilled meat with scrumptious dipping sauce? Pretty much our idea of the perfect food! I am a little concerned about my diet this time around though- as I gave up refined sugar and diet products about 5months ago. Being there in the September heat, without being able to cool down with a slushie is going to be a challenge. Also- we got the free dining plan- so hoping that the restaurants will be able to accommodate me with some fresh fruit as a substitute for dessert. We have food allergies in our family- and they were great about it- so I am hoping the same will be repeated with the sugar thing. Any suggestions? I know I'm a little late here, but I have to join those who are warning against seeing It's Tough to be a Bug if you are at all squeamish. I think I saw it in middle school, and my parents convinced me - in spite of the warning posted in the ride! - that I would be fine. I was literally cowering on the floor when the spiders came down from the ceiling, spent the end of the show (when the "bug guests" exit) on my dad's lap, and was practically in tears by the time we got out. It was pretty traumatic, as evidenced by my visceral reaction some 12 years later. Basically, if the posted warning sets off alarms for you (or your kid! ), skip this one! I'm not sure if someone mentioned this already, but if you are going with kids and can make your own schedule, get to the park early, take a break around lunch or early afternoon, then go back in the evening. This was the strategy my parents used with my sister and me (we've been every few years for as long as I can remember) to prevent crankiness and tantrums. And it's actually pretty nice as an adult, getting to take a nap in the middle of the day and feel refreshed for more rides and fireworks in the evening. Space Mountain, the Tiki Room, and Splash Mountain are my three favorite attractions in the park. For me, the attraction of Splash Mountain is the animatronics -- they've created an extensively detailed little world in there. But what I enjoyed even more was Cirque du Soleil's La Nouba over in Downtown Disney. It is definitely one of Cirque's best shows. Downtown Disney also has what I remember as a wonderful magic shop. There was a really charming guy there demonstrating the tricks. Try to get there at park opening. There are ceremonies at the parks and the one at MK always makes me tear up. Also, lines are MUCH shorter before lunch, so get there early, leave early for a nap or a swim, and come back for the fireworks at MK and Illuminations at EPCOT. If you have little kids bring things to amuse them in line (wedding bubbles, angry birds on the cel phone, their own camera, a small pad and crayons, etc. Our daughter learned to play 20 questions and rock, paper, scissors in line at MK). Also, take the time to see the beautiful details and play in the water. Truly, that's the stuff the kids remember about Disney. MK: I love Casey's for hot dogs (they have a dispenser of plastic cheese! )and then we carry our food down to the little platform that used to have the swan boats and eat by the water. I have to put in a plug for It's a Small World. My daughter (almost 6) LOOOOOOVVVVES that ride. Also, the people mover is one of my faves. EPCOT: Hands down my favorite park. The street performers in the lands are great! Take the time to stop and watch the acrobats in China, the statues in Italy, and the balancing guy in France! For food, I love the fish and chips in England and we take them into the cool little maze behind the tea store. It's really quiet there and the benches always have space to sit. There's a Pooh meet and greet in the toy store back there that is so out of the way that Pooh comes out and walks around to try to find kids to take a picture with him-seriously. I also love the Japanese restaurant, the Joy of Tea in China, and no visit to EPCOT is complete for my family without a visit to Cava Del Tequila inside of Mexico's pyramid. They have INCREDIBLE margaritas and my daughter loves the queso dip and smoothies while I love that it's perfectly acceptable to bring a small child into a bar at Disney. We'll probably be going sometime in October for MNSSHP and the food and wine festival in EPCOT and then we're spending a week with the whole family at Wilderness lodge the week after Thanksgiving (parents are vacation club members, yay). Maybe we'll see you there! Beaches and Cream at the Beach Club hotel (you don't even need park admission for this one!) Very good hamburger and onion rings for dinner and the No Way Jose for dessert (think huge sundae with hot fudge and melted peanut butter, yum!) They don't take reservations so you may have to wait but it is worth it. This is also the home of the Kitchen Sink as seen on Food Network. Jen, How on earth do you get to see the Castle murals? they are closed off to civilians and have been for years. I really miss them as they are very beautiful. You aren't allowed to ride with the monorail drivers anymore. I've asked as that is my fav. spot to ride in and I'm ALWAYS told not any more! I like the German caramel shop the chocolate covered soft caramel with sea salt is PERFECT. for WDW I like to eat at cosmic ray's. it's affordable and the food is better than the usual disney fare. I also like Geppetto's as if you time it right you can get a table right over small world's boat entrance. I've loved that spot since the park opened. I've always wanted to keat at King Stephen's in the castle, before it was to expensive and now it's a character meal. ah well. I also hear canada's restaurant is supurb but I've never eaten there. one thing I ALWAYS get to eat is ice cream. @TravelGoddess - the castle walkway is only closed off before and during the castle forecourt shows & before and during the fireworks, so you just have to catch it at the right time! Even when it's closed on the forecourt side, you can often still walk up from behind the castle to see the murals in the interior. I just went to Disneyland and California Adventure for the first time, and Space Mountain CHANGED MY LIFE. It is the best coaster in the entire world. No big drops that make me sick, super beautiful, amazing music. I bought the tee shirt and everything. I highly recommend it if you're planning to Disney on the West Coast. What?! No love for the Grand Marnier slushier in France? I am SO taking a detour during The Goofy. Maybe I should up my pace for the half to earn a pit stop! Come cheer! January Marathon weekend. My husband and I went there for a week in July for our honeymoon on 2007. I agree with your opinion on Dinosaurs. That ride was easily one of my favorite, and easily the most TERRIFYING ride I've ever been on in my life. GO TO TYPHOON LAGOON'S WAVE POOL. This is unlike any wave pool I've ever been to. My husband and I didn't discover it until our last day a few hours before we had to be back to the airport. We only got to play there for a couple of hours and we could have easily played in the wave pool for double that. I also loved The Land at Epcot. the food was good and surprisingly "cheap" for Disney. Beauty and the Beast show=I agree, MUST SEE. Finding Nemo at Epcot was wonderful because the line went quick, it was very cool and air conditioned, and the ride itself was fun. If you've been to the Space Mountain ride a lot at California's Disneyland since they redid it for one of their anniversaries, you might be disappointed in the one at Magic Kingdom. Unless they've changed Magic Kingdom's Space Mountain since 2007. My husband and I were so disappointed, we gave away our second set of fast passes for it. I absolutely LOVED Fantasmic, but you are right about the bottleneck. Waiting to get in to the seating area was terrible. We were all squished in and, seeing as how it was the middle of summer, extremely humid. I could barely breath. In regards to the weather, I don't know how it is year round, but when we went in July, it was extremely humid and hot. Coming from Las Vegas where I'm well accustomed to dry dry heat, the humidity made me fairly miserable physically. You can buy spray bottles with fans attached at the parks to keep cool, but they are pretty expensive. My husband and I had little hand held fans (we got at walmart for a few bucks) that we attached to our belt loops and broke out when the weather go unbearable. We were so sweaty from the humidity/heat that a spray bottle was not necessary. We are currently at WDW now...did Epcot yesterday and your list was spot on! Thank you so very much!!!! Doing Magic Kingdom today. We were able to get a park map already and are marking it with all your suggestions. We would LOVE to run into you today, but I know that's impossible and would probably FREAK OUT my husband big time. LOL! My husband and I went to Orlando for our anniversary this year, mostly to go to Universal Islands of Adventure because we are huge Harry Potter fans. As a side trip though we went to Disney Quest because it was about 1/2 the price of going to one of the main parks for a day. We weren't sure what to expect, but we LOVED it! The best part was definitely the designing and riding your own rollercoaster. My husband refuses to ride real coaster (which I love) but had a great time making the scariest coasters we could and then riding them virtually. The only downside is that they made me a little kind motion sick, so I couldn't ride the coasters as many times as he did. I still had fun designing them for him though. We went to EPCOT in February of 2011; 3 (sort of) adult women and three of my children--an adult son, teen son and teen daughter. We were in line to buy tickets before it opened, and when we got them, our ticket seller told us to go to Soarin' (Shelby at My Year with the Mouse would add "over California" LOL) first thing, so we hoofed it directly over there as soon as we entered. We were in the second or third group of the day to ride it, and had a very short wait. A few years before that, we attended a conference where the attendees got to go to DAK for a special event, where only certain areas were open. We rode Everest (in fact, it was the most popular ride of the night, and one group "broke" it and had to walk down. SO glad that I wasn't on it then.) Anyway, I am sensitive to strobe lights; I can get a migraine if lights hit my eyes at the right--or wrong, I guess--time, so I spent much of the ride with my eyes closed. Ditto the dinosaur ride, which you didn't mention...but I thought I'd throw that out there if anyone else has similar issues. I can't remember if the rides have warnings on them, although they probably do. I've been to DL twice, and to EPCOT twice, but have not made it to WDW yet. We'll be going back to Orlando in February for that conference again, so maybe this time we'll get there. My favorite restaurant experience by far was Cat Cora's place Kouzzina at the Boardwalk resort. I have a lot of food allergies and I was so impressed by how they handled this. I'm used to places accommodating me by removing ingredients I can't eat but here the CHEF actually came to my table to ask what she could substitute and create for me instead. I really felt this was going the extra mile. I'm like a billion years late to this but just wanted to chime in. We've been to Disney...gosh, I've lost count. We don't have kids so we're usually there in October (Food and Wine, MNSSHP) or January (Marathon). We're darn near 40 and just LOVE Disney. We have very grown up stressful jobs so going there just makes us chill out and have fun. I second all of Jen's tips, most especially BOMA. Breakfast buffet is fantastic and the AK Lodge is just beautiful. I actually really like AK but, again, not ever been there in dead of summer/crowds. My husband just said this morning that he wants a jalepeno cheddar pretzel from AK! Epcot is by far my favorite. The country pavilions are just fantastic. at MK Pirates is an Absolute Must. It's not a visit to WDW if we miss that. I love taking pics along Main Street. Since this was first posted in August, New Fantasy land has opened. It's lovely but very crowded, even off-season, because it's so new. The Little Mermaid ride is ok, kids will like. Fast Pass if you can...like feels like an eternity. Gaston's Tavern is so nice! We didn't do Be Our Guest as the line was enormous but would love to give it a try on a later visit. HS: Rockin' Roller Coaster is a must. Sci-Fi Drive-In is a lot of fun. I think HS is my least-favorite park. half day usually for us. You can walk from HS to the "back door" of Epcot along the riverside path, by Swan and Dolphin and around the Boardwalk/Beach Club. On a cool day, it's a nice stroll if you're legs aren't too tired! If you have the luxury of going off season, do...hotels are cheaper, crowds less frustrating. If you have a car, use it everywhere but MK. So much faster than waiting for the busses....which are a source of MAJOR frustration for me. If you have kids consider staying at one of the new Art of Animation suites. If you don't, just go check the hotel out...the theming is amazing. We stayed there in January at the Little Mermaid section...it was nice but too far from amenities.